The Greenstar 36CDi has been revised to include a new ErP compliant pump, bringing it in line with new legislation covering new boilers and other heating appliances. It offers the highest levels of heating and hot water in this range, despite its compact size. 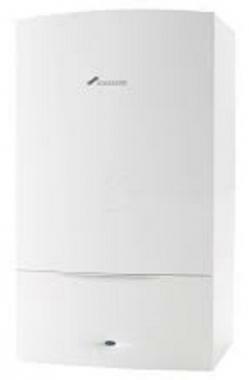 With a heat output of 36kW this boiler is suitable for homes with four bedrooms and one bathroom and an ensuite. The Greenstar 36CDi Compact is wall mounted and weighs 36kg, its small dimensions means it can easily fit into a standard kitchen cupboard. The user-friendly displays make the boiler easy to operate and a wide choice of matching controls enables greater comfort and economy.